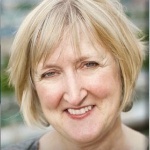 Vickie Cammack is the Founding Director of Tyze Personal Networks, a pioneering Canadian social innovation that delivers online networks of care for people facing life challenges. She is a social entrepreneur who has established many organizations dedicated to strengthening community and addressing isolation including Planned Lifetime Advocacy Network (PLAN) and the Family Support Institute of British Columbia. Vickie’s unique response to the isolation and loneliness that underpins some of our most intractable social problems - a network model of care, has been adopted internationally. The Women’s Executive Network named Vickie one of Canada’s Top 100 Most Powerful Women and she is the recipient of Meritorious Service Medal of Canada, the BC Community Achievement Award, and the Queen Elizabeth II Diamond Jubilee Medal for her work in the field. Our connectedness to one and other is often what is best about being human. A winding path leads to Lynette’s brightly painted front door. The bell is barely rung and there she is, eyes twinkling, smile beaming, extending her hand in welcome. ‘How lovely to see you,’ she says in her low, genteel voice. She takes my coat while asking how I am. She looks right into my eyes waiting for my answer and I am led to feel this is a question of great importance. She leads me to her sunny living room. “You must be cold. Let me get you something warm to drink.” Lynette returns shortly with my tea and sits squarely in front of me, giving me her full attention, ready for conversation. Warm and comfortable, basking in the rays of her attention, I realise I am in the presence of a true master of hospitality. The astonishing thing is that Lynette, who lives with mental health challenges, has known more rejection than welcome in her life time. Over the years she has been institutionalized, bullied, ostracized and ignored. Yet she still gently welcomes others with a warmth and authenticity that would make Martha Stewart blush.